Led by gritty series like the Mafia-focused hit Gomorrah, Italian drama is enjoying new levels of global interest. DQ finds out why. The world has been watching great Italian movies for more than half a century. Following The Bicycle Thieves in 1948, films like La Strada, La Dolce Vita, 8½, The Good, The Bad and The Ugly, Cinema Paradiso, Il Postino, Life Is Beautiful, Gomorrah, The Great Beauty and Human Capital are past and present proof that superlative screen craft is a cherished component of Italian culture. The roots of this insularity probably lie in a backlash against imported content that occurred in the 1980s. 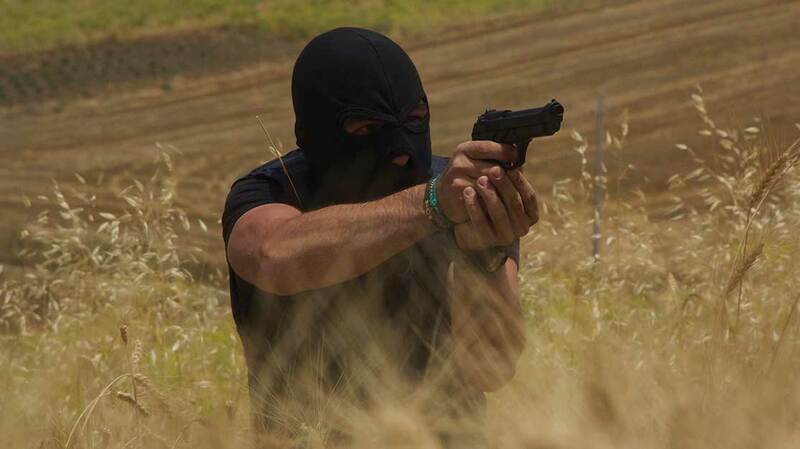 It took Italian TV producers until the 1990s to perfect their response, but when they did, they began to achieve real success with domestically produced soaps (such as A Place in the Sun and A Doctor in the Family) and police thrillers. Locally know as ‘giallo,’ the police titles included popular shows such as Marshal Rocca, Inspector de Luca and Inspector Montelbano. While they achieved some sales internationally, they didn’t spark the interest associated with, for example, the recent wave of Nordic Noir exports. Proof that Gomorrah was not a one-hit wonder came with the launch of 1992 in March of this year. Another Sky-backed project, the 10-episode series revolves around six people whose lives become intertwined with the political and social earthquake that swept away Italy’s post-war establishment. Echoing its approach with English-language drama Fortitude, Sky was sufficiently excited by 1992 that it aired it across the UK, Ireland, Germany and Austria, in addition to Italy – a total market of 20 million homes. That, says Bachert, came in addition to sales in France (Orange), Spain (Canal+), Scandinavia (HBO Nordic) and Benelux (HBO Europe). Now there is talk of a follow-up series entitled 1993. Boris was a comedy series that ran for three seasons in 2007, 2008 and 2010 (totalling 42 episodes). Towards the end of the show’s run, FIC commissioned Wilder to make another series, a six-hour serial killer thriller called The Monster of Florence. Both series were broadcast by FIC on the Sky Italia platform, effectively priming Wilder for the next phase of its development following the merger with Offside. Being in the Fremantle family may also give Wildside an opportunity to take scripted formats into Italy. There have been signs in recent times that this side of the business, traditionally underdeveloped, is starting to pick up. Wildside, for example, made Israeli format In Treatment for the Italian market, while Spanish period drama Velvet and French supernatural thriller Les Revenants (The Returned) have also been adapted. Utilising FM’s international expertise should allow Wildside to push this door open further. Wildside, of course, is not the only Italian indie providing a bridge to and from the international market. 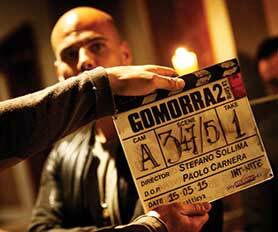 Cattleya, which counts DeAgostini and United Pictures International among its shareholders, recently announced plans for season two of Gomorrah. 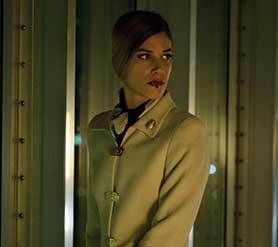 It also has a deal with Canal+ to create an English-language series called ZeroZeroZero. ZeroZeroZero is based on a book by Roberto Saviano, who also wrote the book on which both the film and TV versions of Gomorrah are based. The director is Stefano Sollima, whose credits include Romanzo Criminale and Gomorrah – all of which guarantees a solid international showing for ZeroZeroZero. Cattelya is also exploring the scripted format business. It is remaking NBC’s Parenthood for Rai Uno, the first ever US scripted format to be picked up by the channel. At the same time, it has signed a deal with Atlantique Productions to turn two Italian properties into English-language TV series. The first will be a re-imagining of the cult western Django, which has its roots in the spaghetti Western tradition. The second is Dario Argento’s classic Italian horror film Suspiria, which will be reinvented as period horror series set in London and Rome between the end of the 19th century and the beginning of the 20th. It’s no real surprise that Sky’s international axis has provided the platform for Italian producers to reposition themselves on the global stage. But it’s notable that Mediaset and Rai are also exploring what might be possible beyond their borders. Mediaset started to show some interest in the English-language drama market when it came in as a coproducer on , a Left Bank Pictures adaptation of Michael Dibdin’s detective novels that also had BBC, WGBH Boston and ZDF as coproducers. That was very much an ad-hoc experiment. But last year Mediaset started to talk up the possibility of making international drama in a more systematic and strategic way. The first fruit of this came earlier this year when it joined forces with France-based Federation Entertainment to coproduce Lucky Luciano, a 12-hour miniseries about mobster Charles “Lucky” Luciano. It’s worth noting that Italian scripted content has also started making ground in markets like China and Turkey, primarily as formats. But if there is one other big story worth following, it’s the arrival of Netflix in Italy this October. The subscription VoD platform’s chief content officer Ted Sarandos was in the country recently trying to win over the Italian industry with promises of investment in Italian-originated content that can travel. With Netflix spending an estimated US$5bn a year globally on content, the company’s entry into the Italian market should provide a welcome boost to the country’s producers at this pivotal moment. Mediaset’s Alessandro Salem and Federation Entertainment founder Pascal Breton discuss their new coproduction Lucky Luciano and outline how Italian drama is taking on the international market. Alessandro Salem: “What is happening right now is the spotlight is again on the power of Italian stories and the success they are achieving worldwide. In Italy and abroad the national frame isn’t always appropriate to nourish the creative process and to grant the financing of ambitious projects, so international development is more and more crucial. “Rather than cinema or television, today we should speak of talents who explore storytelling and, depending on the specific nature of the project, later take on a TV or cinema direction. Salem: “Lucky Luciano is a TV series with international DNA: Italian roots, American trunk and international branches. It is about one of the most famous, and yet less known, criminal icons of the 20th Century, Charles Salvatore Lucania, also known as ‘Lucky.’ The series discloses what’s behind the story of the kid from Sicilian sulfur mines who will organise the American mob as an actual corporation, and will leave a lasting mark on the story of our countries through the controversial collaboration with the American and Italian authorities. Breton: “Lucky Luciano is a perfect example of a story originating in Europe that has had a deep impact on the history of the US, and the story’s potential is endless. We were looking for an opportunity to coproduce with Mediaset, and we couldn’t have found a better subject. Salem: “Mediaset has ambitions to become a major player in the international drama market. Within the next three years the goal is to have a constant pipeline of international dramas. To this aim, on one side, Taodue – our in-house production company – is focusing its talent towards international production with several projects greenlit. On the other side, we are confident we can count on our distribution strength through our presence in Italy and Spain.